Manchester United manager Louis van Gaal is no stranger to controversy, leaving a wake of shaken up reporters, frustrated opponents and bitter former players behind him over his terrific managerial career. Upon taking his first managerial job at Ajax in 1991, Van Gaal shook the hand of the club’s director and told him: "Congratulations on signing the best coach in the world." On taking the Barcelona job in 1996: "I have achieved more with Ajax in six years than Barcelona has in one hundred years." Upon meeting a 14-year old Gerard Pique, Van Gaal knocked the future Mr. Shakira on the floor and yelled: "You’re too weak to be a Barca defender!" After taking over the Dutch National side in 2000 he proclaimed: "I’ve signed a contract with the Dutch national team until 2006, so I can win the World Cup not once but twice." 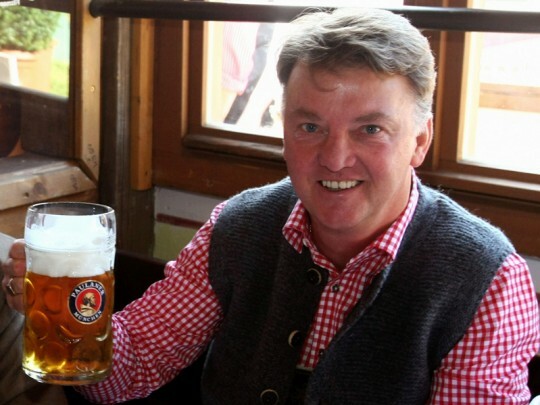 Van Gaal introduced himself to the Bavarian press with the following self reflection: "I am who I am: confident, arrogant, dominant, honest, hard-working and innovative." The Dutch boss approved of Barcelona hiring Guardiola back in 2008: "[Pep] Guardiola follows the Van Gaal philosophy. So I’m not surprised Bayern have hired Guardiola. Bayern always hire the best managers." Van Gaal on his bedside manner: "I’ve never worn leggings like Robben does. I’m never cold because I’m warm bloooded. My wife says so too. We always sleep spooning." When asked by a journalist if he wanted to congratulate his former friend Ronald Koeman with winning the Eredivisie with PSV: "If you want to, go ahead." Van Gaal the sensitive type: "I cry almost every day. There’s always something that touches me." When asked by a member of the English media what he knows about Manchester United: "That's a stupid question."